“Quotidian Erasures: Gender and the Records of the Trans-Atlantic Slave Trade” will argue that the emergence of what early modern political theorists described as “political arithmetic”—and what we term demography—is a product of the trade in slaves that bolstered the colonial economies they were at pains to describe. Numeracy, political arithmetic, and the science of demography emerged in the crucible of the trans-Atlantic slave trade and early modern mercantilism. Thus, those of us charting the lives of women and men of African descent in the Atlantic must turn careful attention to the ways in which demography both supports our work and comprises a core part of the legacies of archival violence with which we must grapple. Demography is evidence, but it is also a critical problem of early modern ideology—as is what the gathering of demographic evidence meant to those who were both collecting it and being collected. How do we move from a world in which the free African man Anthony Johnson can petition for and receive special to one in which English travelers to Africa as early as the sixteenth century routinely glossed men and women as “merchandize?” The power of numerical reckoning is not a new question for scholars of the post-colonial. But a clear disciplinary boundary is drawn in the early modern period, between those working on the political valence demography, and those working on the demographic parameters of the trans-Atlantic slave trade. It is in this juncture between histories of political science and economic studies of the trade that I am interested in staking a embedded in numerical evidence, the development of “political arithmetic,” and the ways in which men and women were and are reduced to and embedded in a system of monetary or commercial value? 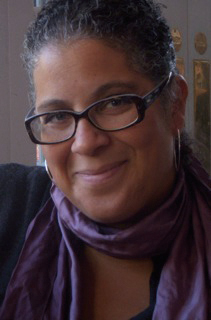 Jennifer L. Morgan is Professor in the departments of Social and Cultural Analysis and History at New York University. She is the author of Laboring Women: Gender and Reproduction in the Making of New World Slavery (University of Pennsylvania Press, 2003). Her research examines the intersections of gender and race in colonial America. She is currently at work on a project that considers colonial numeracy, racism and the rise of the trans-Atlantic Slave Trade tentatively entitled Accounting for the Women in Slavery. This event is made possible through generous contributions from the Departments of History, American Studies and Sociology.